Veya kitabı 18000 Kobo Super Points ile alın! This essential introductory guide explores and aggressively expands the provocative new field of sexual identity studies. 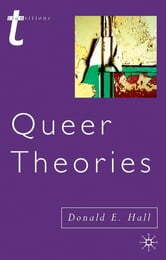 It explains the history of sexual identity categories, such as 'gay' and 'lesbian', covers the reclamation of 'queer' as a term of radical self-identification, and details recent challenges to sexual identity studies posed by transgender and bisexual theories. Donald E. Hall offers concrete applications of the abstract theories he explores, with imaginative new readings of such works as 'The Yellow Wallpaper', Dr Jekyll and Mr Hyde, Orlando and The Color Purple. Throughout, Hall urges the reader to grapple with the changing nature of sexual identity in the twenty-first century and asks searching questions about how we might identify ourselves differently given new technologies and new possibilities for sexual experimentation. 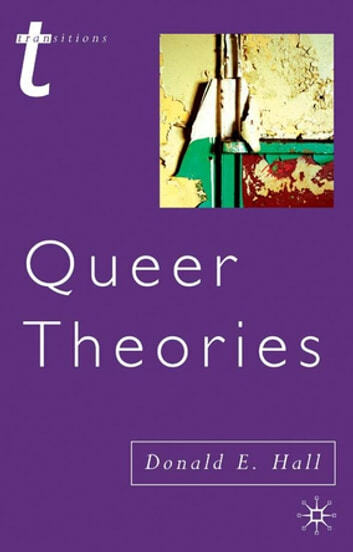 To students, theorists and activists alike, Queer Theories issues a challenge to continue to disrupt narrow, traditional notions of sexual 'normality' and to resist setting up new and confining categories of 'true' sexual identity.